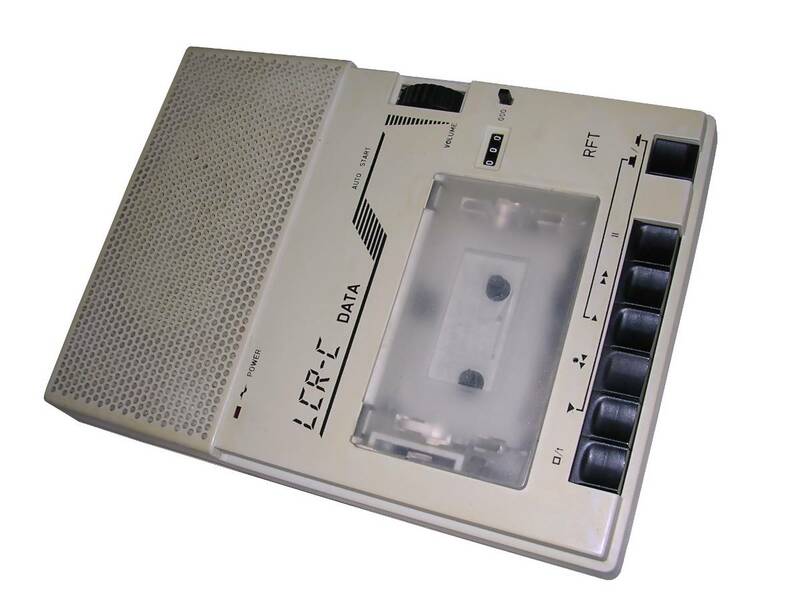 Audio tapes were primary program and data storage in 8-bit microcomputers. 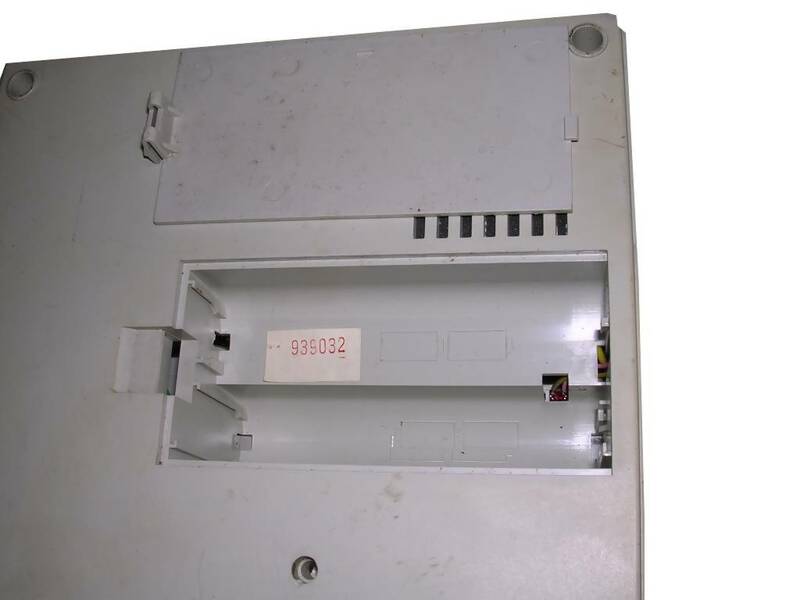 They were cheap, easy to get and offered small, but enough amount of space. 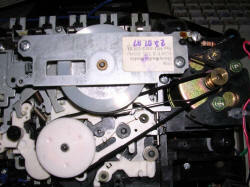 Unfortunately they were slow and quite unreliable, so commercial software was recorded few times on the same tape. 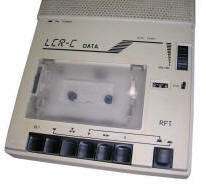 Many computers, such as ZX Spectrum, Meritum or MSX used an ordinary tape recorder, like the one used in audio recording. 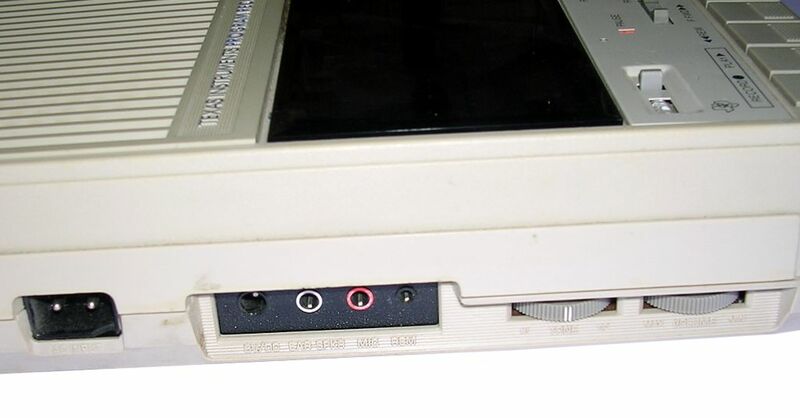 But some computers used dedicated hardware with serial interface, for example 8-bit Atari computers or Commodore machines. 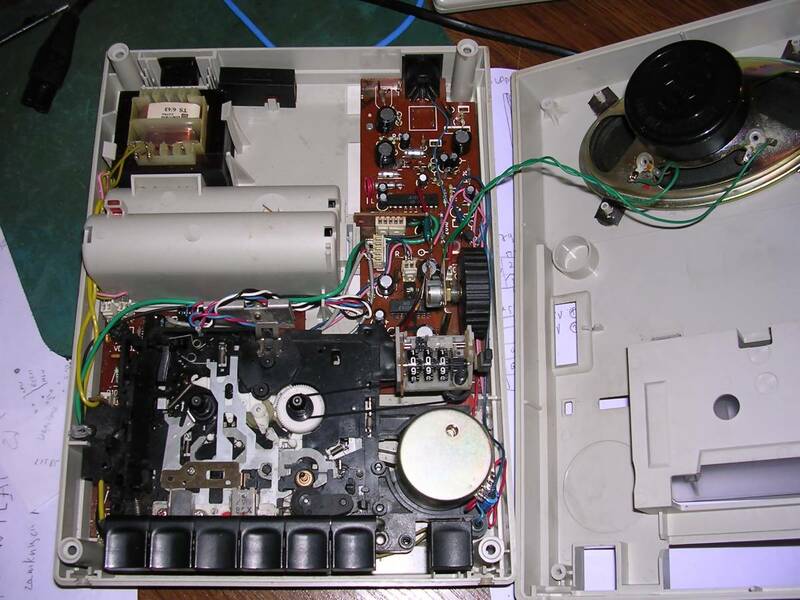 Fortunately, most of these computers were quite easy to modify, so normal decks could be used. Another group of decks were normal ones, but with special circuits making working with microcomputers easier. 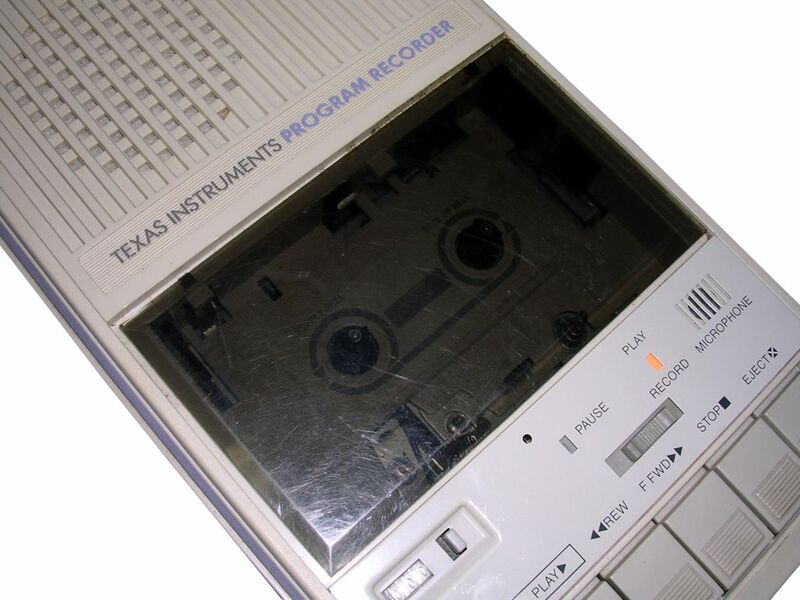 These included frequency filters, self-setting of optimal volume or small speakers allowing to find place on tape without waking up everyone in house. 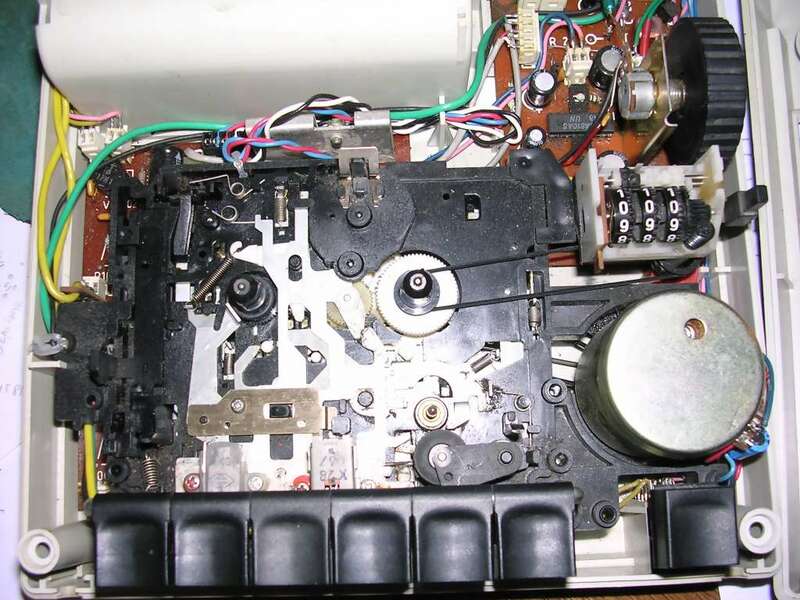 Nearly all recorders had counter, which allows to fast rewind to known program location (unfortunately their results sre usually different in different units) and a hole near read/write head to tune head skew, if it was needed. 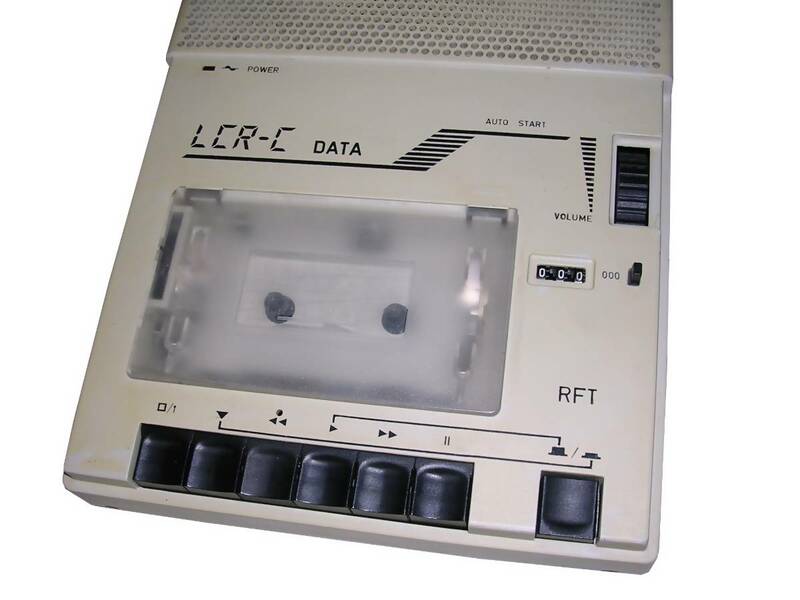 As tapes were slow, some decks were re-made to load programs faster. In Commodore computers, Turbo-Tape modification required only a software program, but in Atari 8-bit computers it was needed to put some electronics in tape recorder and load software from cartridge. If there was no software, recorded tape became unreadable. 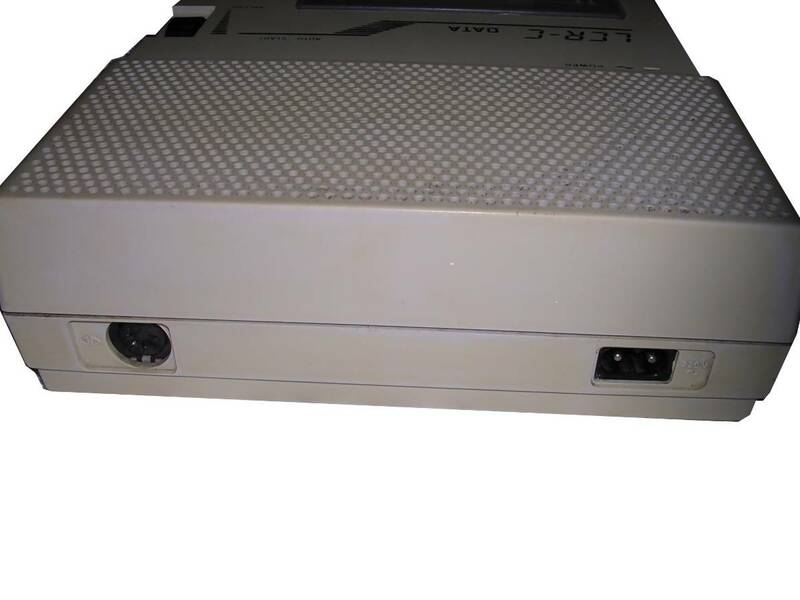 If there was no hardware - the computer could not read program or hanged during loading every time. 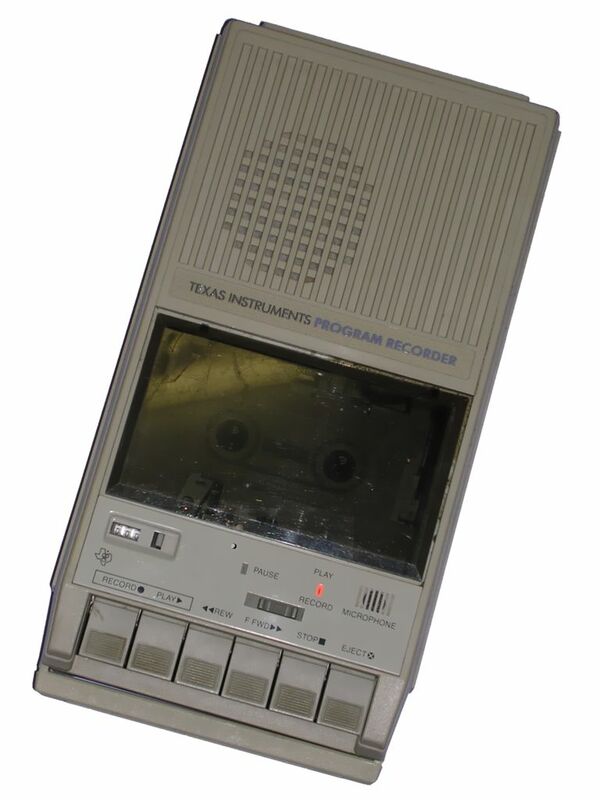 This recorder was made especially for Robotron KC85 and KC87 home computers manufactured in East Germany. 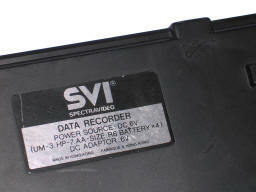 It was a modification if existing tape recorder. 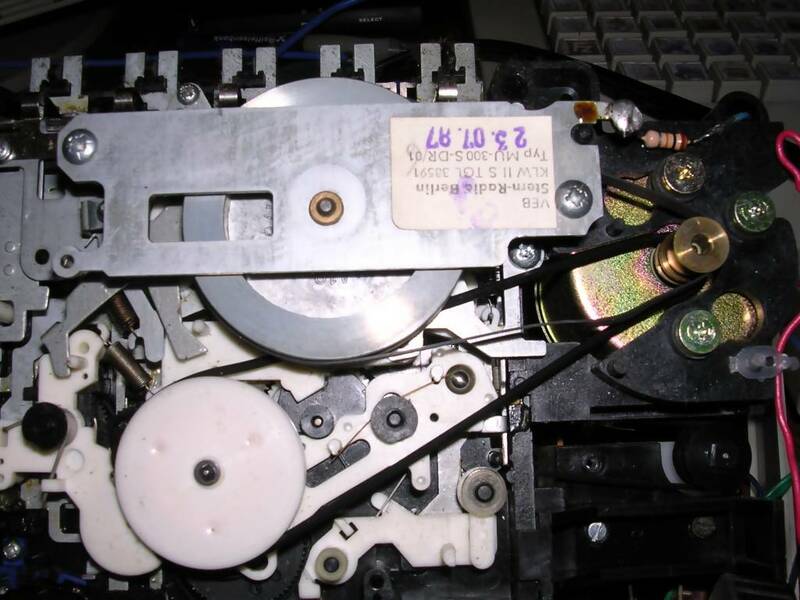 Some later versions have some components not critical to computer operation removed. This one has no battery connectors (only battery chamber) and no handle. 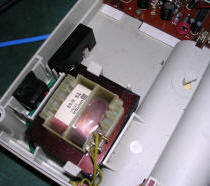 Later ones had even speaker replaced with piezo buzzer. Notice that this unit has few soultions not commonly found in typical simple tape recorders. 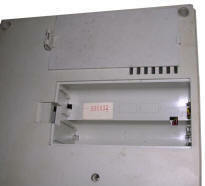 The mechanism requires very small force on a key to act. 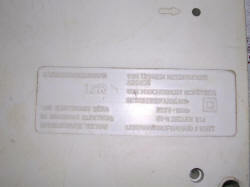 Keys come only few mm down, then mechanical part does all needed things. 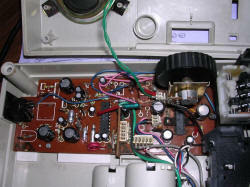 The recorder is made of components from different countries of Eastern block, for example the power transformer is Polish. 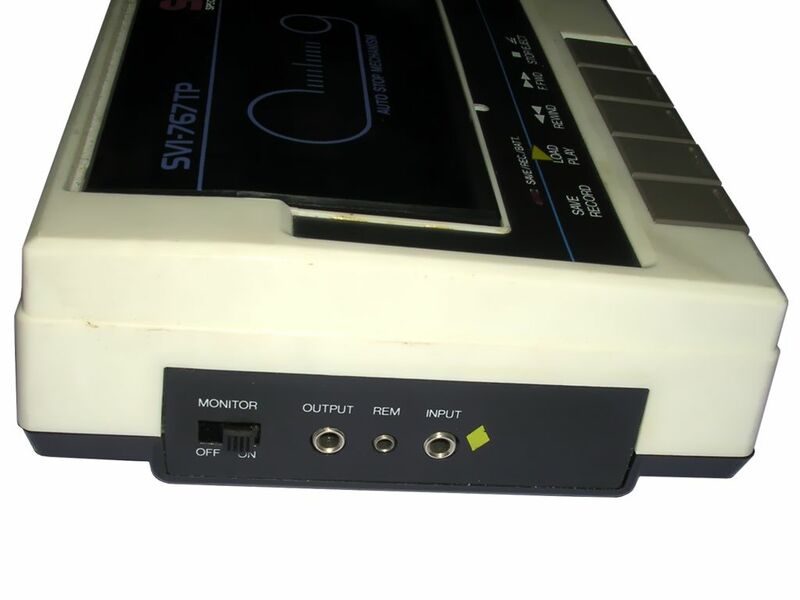 This small tape deck was used with Spectravideo computers, for example X'Press SVI-738. 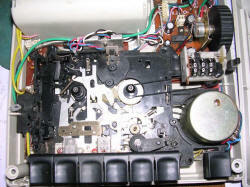 Unfortunately it had many flaws, such as lack of speed stabilization or poor mechanics. 767TP is a compact version of SVI-767, a full-sized tape recorder with internal power supply. 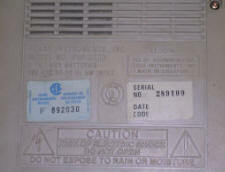 Manufactured for: ?? 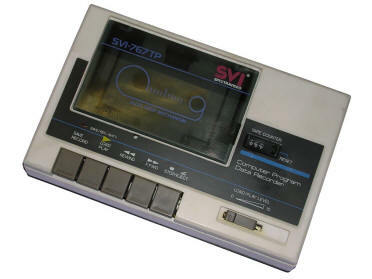 TI99 ?? 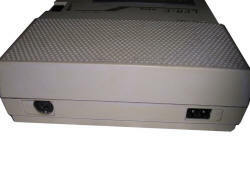 - Battery, external power supply (6V DC) or 110V power. 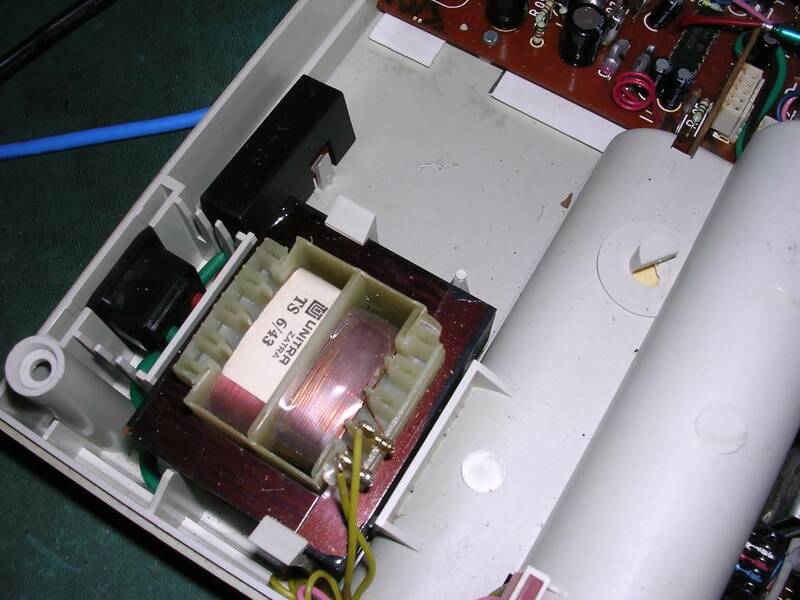 I have no idea for what computer it was made. 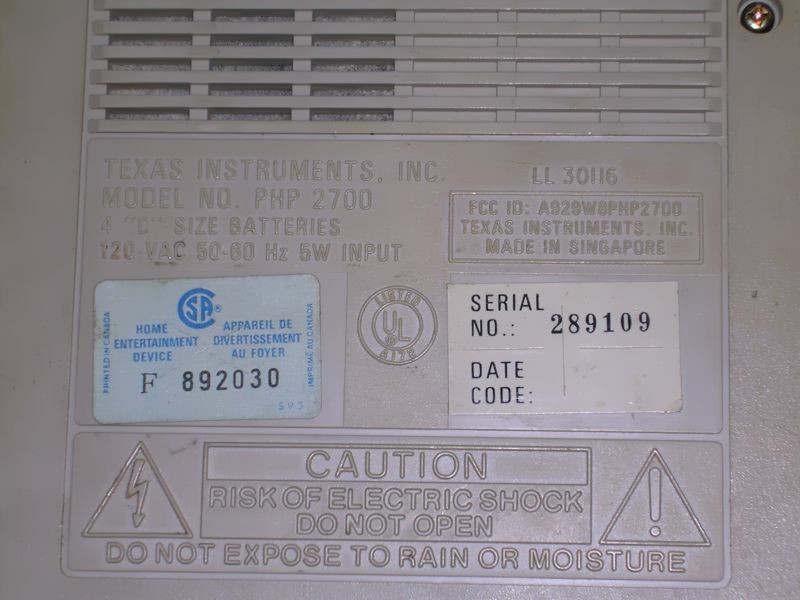 I think it may be for TI99 home computers popular in USA, as its power supply is for 110V. 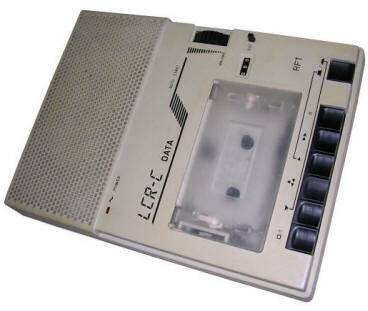 It's an ordinary cassette deck, equipped with built-in microphone and speaker to work as a normal recorder.